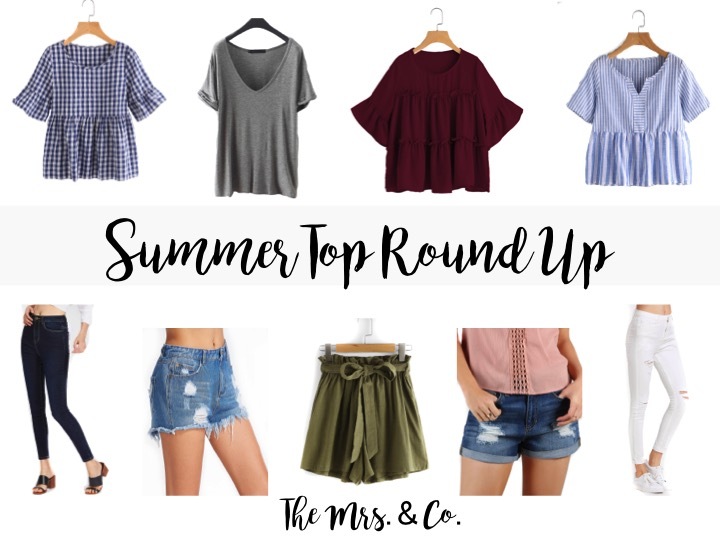 Summer Top Round Up - The Mrs. & Co. I have missed dressing a non-pregnant body. Don't get me wrong, I love being pregnant, but there's something about having my body back that is just the best. Granted, I am still nursing so not "completely" back to myself, but we are getting there! 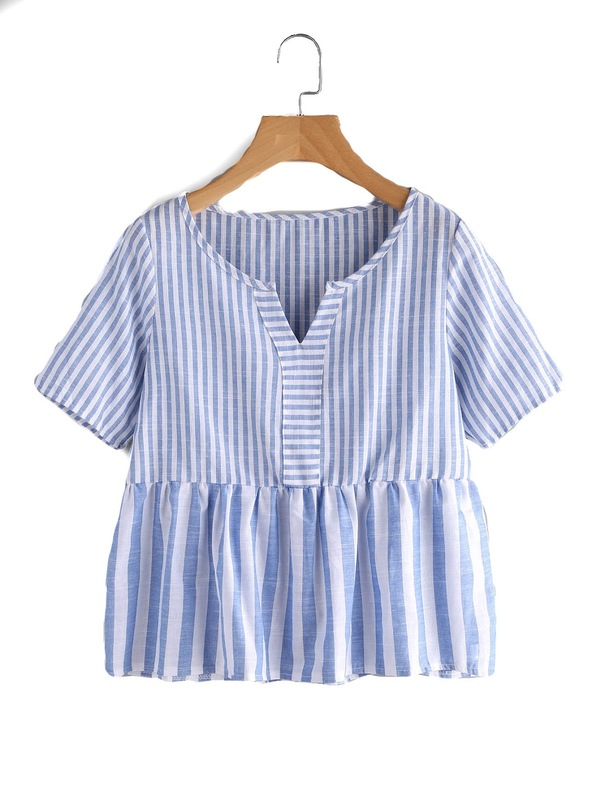 I have rounded up some of my favorite tops from a new favorite line of mine. SheIn. I have found that you need to look at the size chart for EVERY piece because they are all different. As long as you follow the size chart, you are golden. 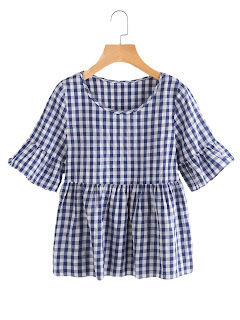 First up is this adorable gingham blouse. Paired with jeans or jean shorts like these or these would be my go to to make this outfit turn from day to night. 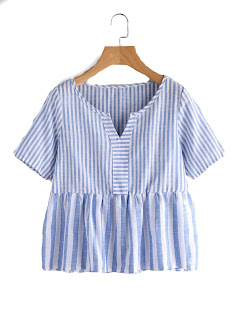 Next up is this striped smock blouse. This top would be cute paired with army green shorts like these. I love that they are a little longer than the normal pair of shorts. 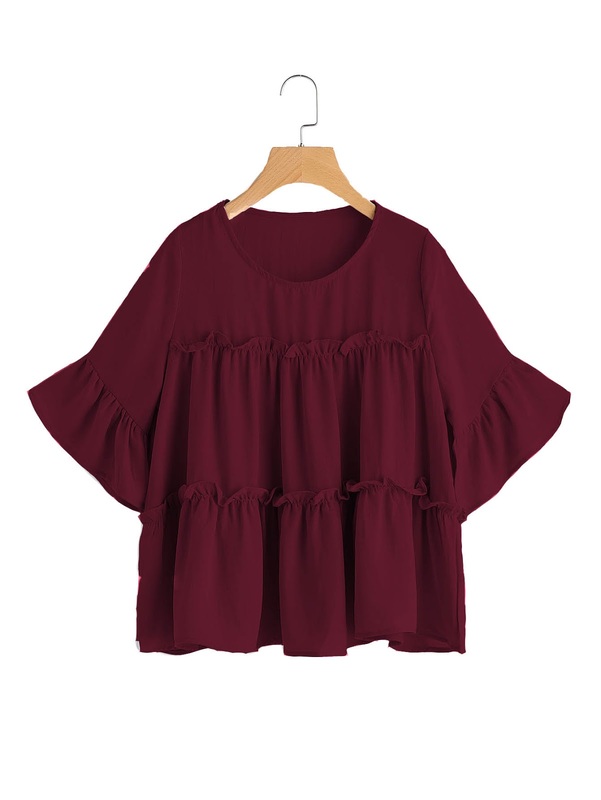 I am loving this maroon top as football season is right around the corner and Saturday's outfits are always maroon since our alma mater is Texas A&M. I love to pair my maroon tops with white jeans like these or these to give it a little contrast then pair it with a fun, chunky necklace. For me comfy and easy to throw on during the summer months is important, which brings this next tee to one of my favorites! Add a lace bra underneath (which are nursing friendly) and you've got a great every day outfit. Pair with some distressed shorts like these and a pair of white converse. You may be thinking how any of these shirts are "nursing friendly". That's where the Blanqi underbust nursing tank comes in handy. 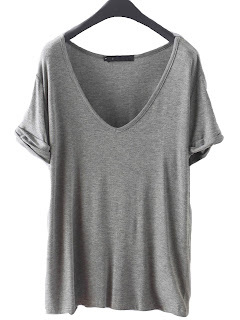 It has an open bust design so that you can wear it under any shirt so that when you lift up your shirt to nurse, this shirt still keeps you covered. The postpartum leggings also do a great job of covering up your mid-section when lifting your shirt to nurse. What is your favorite every day outfit for the summer time? Um YES! I can't wait to wear some cute tops for when I'm not preggo anymore. Loving these tiny kicks but everything else can go. My favorite is the maroon top! So cute! 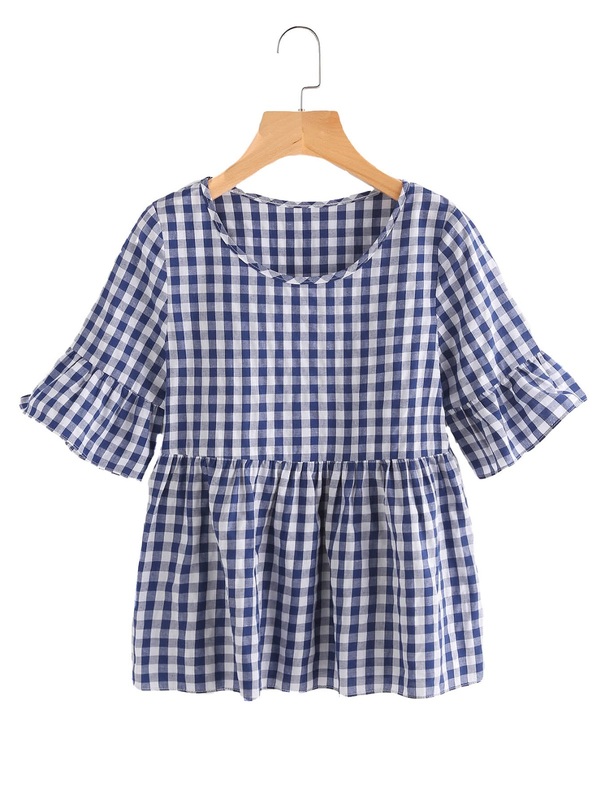 I NEED that gingham top and the t-shirt in every color. Cute stuff, Ashley! I'm gonna need the gray t-shirt. That with jeans and some big blue earrings and I'm ready for football! GO HAWKS! Submit your law assignment any time just visit at StudentsAssignmentHelp.com and take our Law Assignment Help services at a very good price. We works with the team of highly qualified and certified experts in the field that make sure all your work is finish well. Hello, I have browsed most of your posts. This post is probably where I got the most useful information for my research. Thanks for posting, maybe we can see more on this. Are you aware of Best Virus Scanner? When you post something new article meanwhile I notice your content quality whereby I share you article just like Uninstalling unwanted or suspicious programs is the another useful information. Great Post….. I read a few of your other posts. You shared very nice and detail information with us .